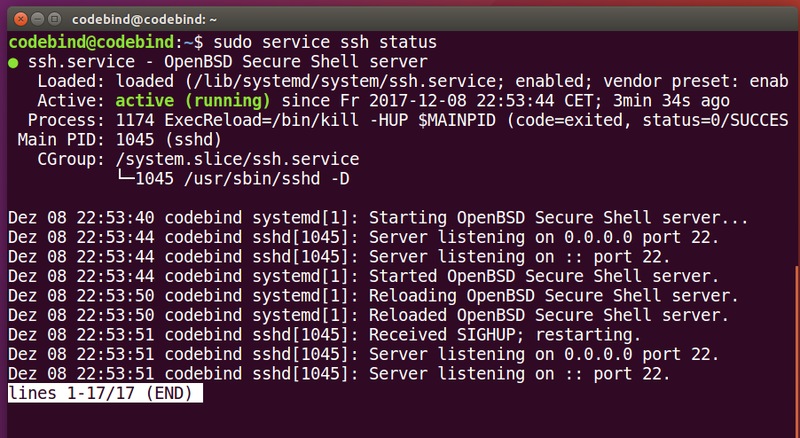 In this post we will see how to enable SSH or Secure Shell service on our Ubuntu 18.04 LTS operating system. In this process we will install openssh-server which allows secure remote machine (server) login and other network communications like copying/transferring data remotely etc. Ubuntu Linux provides OpenSSH which is a freely available version of the Secure Shell (SSH) and is OpenBSD Secure Shell in its repositories, which is a suite of security-related network-level utilities based on the SSH protocol. On Ubuntu desktop, you can also use gedit in place of of nano. Other third party editors can also be use such as visual studio code or atom editor. 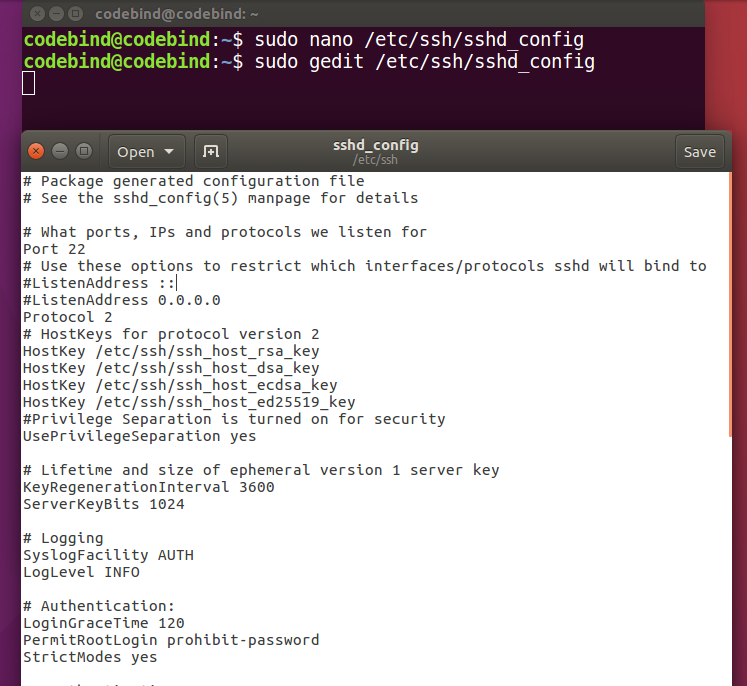 I just installed ubuntu 18.04 desktop and the sshd_config file is different. Everything is commented.